Join us on Saturday March 14th at 6pm for the closing reception of Tell It Goodbye: Steve Kerwin’s Candlestick Catharsis. 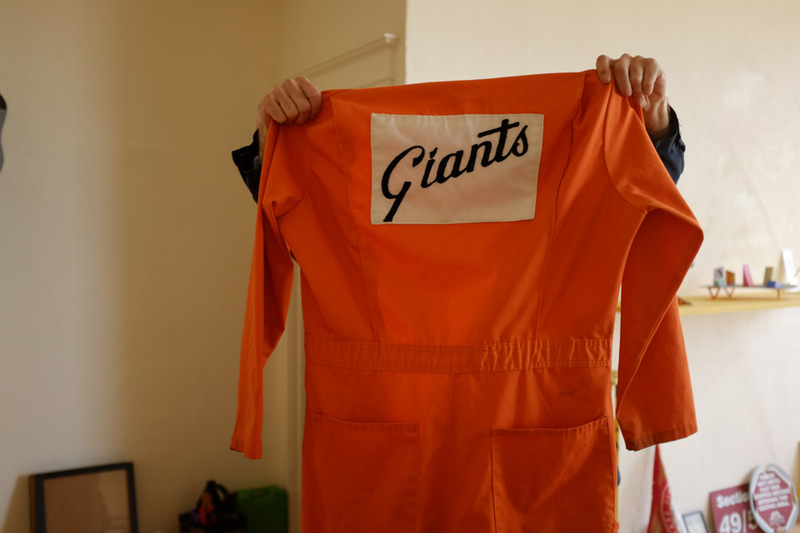 Steve is a third generation Candlestick Park employee and native born San Franciscan. His grandfather was the chief engineer at Candlestick, his father and mother both worked there and Steve worked Candlestick once, on the closing night – Paul McCartney’s “Last Pick at the Stick.” During his one shift he managed to steal a few signs, was paid in beer and a free ticket and got so drunk that he only remembers Paul’s first song. Steve is heartbroken like the rest of us at the simple fact that times change. Lets help him heal. This one night only exhibition will be made entirely from Steve’s personal collection of Candlestick memorabilia. There will be gourmet Tacos (three kinds) Margarita’s and a Cocktail or two for sale at 1981 prices.